Learn the power of oak aging in the winemaking process. 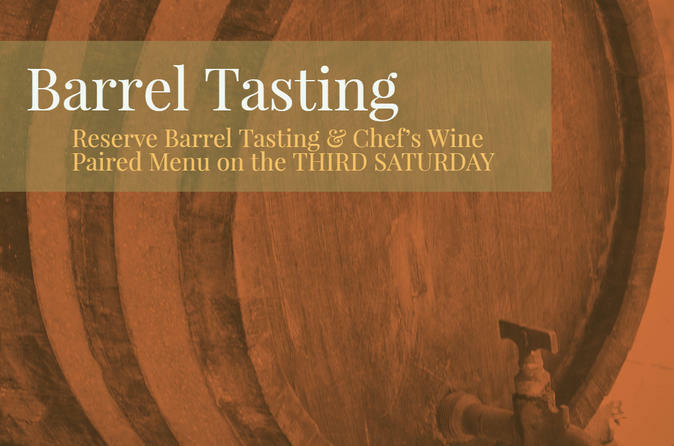 Taste wine directly from the barrel to learn why oak aging isn't just about flavor, it's about a wine's ability to uptake oxygen and mature over time. Slow down and savor the years of aging. The afternoon will begin with a barrel tasting with Owner, Rick Naber. Here you'll taste the same wine after with different amounts of time spent on oak. You'll also sample one of our premium wines with over 3 years of time spent in barrel. Following the wine tasting, you’ll enjoy the Chef's featured 3-Course Paired Wine Experience in our Bistro. Your experience will take place at Flat Creek Estate Winery & Vineyard on the Scenic North Shore of Lake Travis in the Texas Hill Country.